Individual prices may run $10-$30 per person per hour, and may vary depending on location. Group prices start at the individual rates and require guaranteed attendee count. Groups of 10 or more may receive a discount from the individual pricing and will require a guaranteed attendee count. Refunds are only available if wanderingfreespirit cancels the class or workshop. These classes and workshops are designed to cover the practice of meditation within a persons life. These are not separate classes but are designed to be hooked together to make meditation as a full practice within your life. What is the difference between Empty mind and full mind meditation practices? Well in an empty mind practice you work to clear your mind of daily distractions. Some practices call this state of mind distractions the monkey mind. These are the worries of the day: did I turn off the stove, lock the house, this conversation I had with my boss did it go well, did I lose my job, etc. The point of empty mind practice is attempting to achieve the stillness between breaths, a point where there is no thought just simple existence. With a full mind meditation you are concentrating on a concept or sound to the exclusion of everything else. Could be a drum, a singing bowl, spoken word, etc. you concentrate on that until you achieve the same stillness that is sought after in empty mind meditation. So the goals are the same but the practice can be unique to you. It's got to work for you, and not everyone is cut out for every possible type of meditation out there. I for one find listening to a guided meditation to be the most irritating experience. I lead them for others, but I myself can't find the stillness or purpose when participating. I do recommend the introduction class and at least one of the intermediates prior to the advanced class, for intermediate classes I recommend taking the intro first just so you have the building blocks. For this 1 hour class we will discuss why you would want to do meditation. Is it for relaxation, relieve stress, or for a magical practice? For this 1 hour class we will discuss focusing on using meditation as a way to achieve stress relief in 5 minutes or less. This class will cover how to make your practice time compressed so you can use this in a crowded workplace for a more in the moment release of stress with no one the wiser, as well as longer version for clearing up the stress of the day. You will be led through a 15 minute meditation based off of the intro class meditation that focuses more clearly on relieving stress. 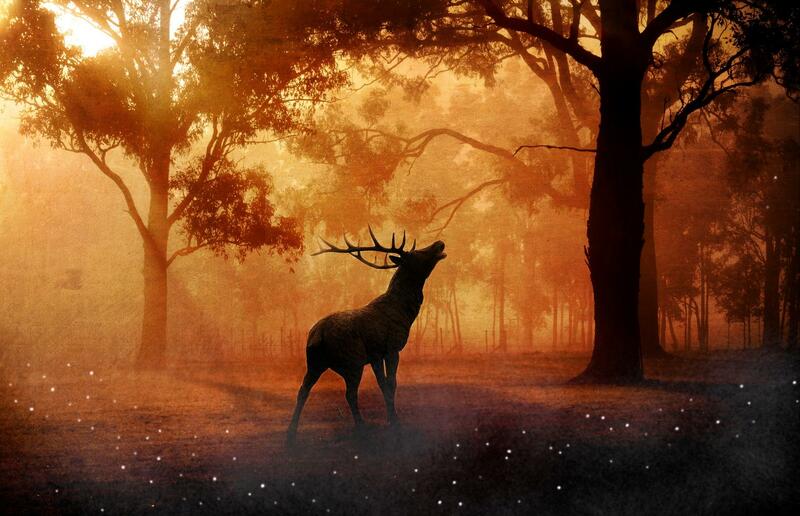 The first meditation will guide you in how to build the inner temple. The second meditation is to work on specifics on what meditation can bring within your magical practice while using your inner temple space. We will also spend some time discussing best uses and how to maximize your practice and meditation as it relates to magical practice. 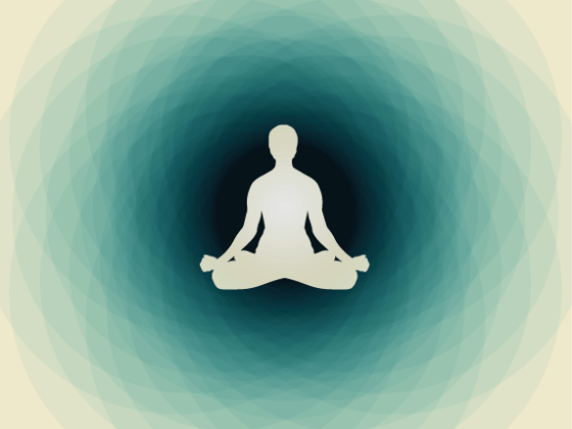 This 1 hour class focuses on mindful meditation while you do every day activities. This can include but is not limited to martial art katas, gardening, walking, running. These are some activities you can enter a state of increased focus and mindfulness that produces a relaxed state. This 1 hour class builds on all the previous classes and brings everything to a finished state where meditation will not be something you think about doing, but will start to be as natural as breathing. With enough practice a simple 3 breath exercise is all you need to release the stress of the day. For magical preparations a simple breath or two and you enter the higher states. For martial artists, a breath or two and you enter a state of awareness and focus that allows more situational awareness. This series of Workshops and classes was created first to give people and intro to all types of oracles and how they have been used through the ages, as well as basic uses through more advanced courses teach the skills behind some of the more popular types. I have over 50 different decks, some I just have for the artwork but many I use to read from. This class is the general two-three hour class that introduces you to all the oracle types I have studied while providing you a hands on experience with some of them and an overview of the rest. We will discuss everything from Fire/water/smoke/etc scrying, oracles with less prep like sticks/stones/i Ching/bones/palmistry as well as tarot/medicine/oracle cards. You will also learn a couple basic and more commonly used spreads for tarot cards. There are many oracles I personally do not have in depthexperience with. For Those that I do, I offer more advanced follow-up classes. This class focuses on the concept that it is not the tool but the ability for the reader to connect with what they see as their divine connection. 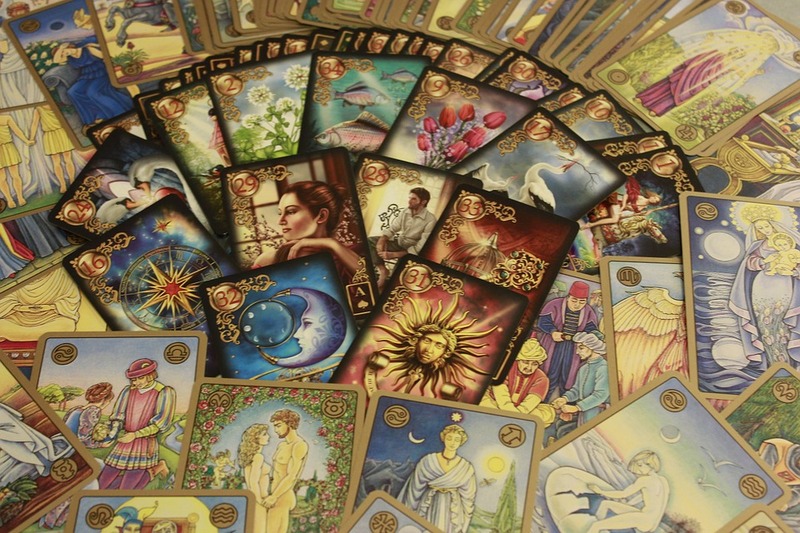 This workshop will focus on some of the most common tools and concepts of tarot from symbology, numerology, color, and the meanings of the cards and positions using three of the most common spreads. The workshop will be taught based on Rider Waite deck. The primary deck I use in this category is called the quest, though I have a new one I am breaking in called the night sun. This 1 hour workshop focuses on animal oracles and teaches you how to use these cards and the different layouts used. I use several different decks in this category but focus primarily around the shapeshifter tarot, shaman tarot and the Medicine Hat medicine cards. This workshop will focus on the variety of scrying concepts. Fire, water, smoke, black mirrors, etc. The concepts and methods behind each type of scrying. What to bring to class: A black mirror (these are easy to make and if needed instructions can be sent prior to class). The hands on workshop will be on the black mirror unless majority of students for that class request another focus for scrying.